"Twenty candidates for the upcoming town election discussed various topics and issues at a candidates night on Tuesday. The event was sponsored by the Franklin Chamber of Commerce and the Daily News. The election takes place on Nov. 7. 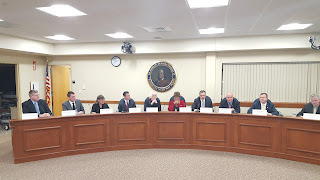 Here are highlights from each candidate:"
The format of the questions for the candidates was differently handled for the School Committee and Town Council. School Committee candidates went first. Each had an opening statement for 1 minute, questions were answered in 1 minute and then the closing statement from each was also 1 minute. The Town Council had the opening and closing statements the same as the School Committee, 1 minute for each. The answer to the question was 1.5 minutes and then each candidate got up to 30 seconds to add to or provide a rebuttal to the first answer. This allowed all candidates to weigh in a particular question. 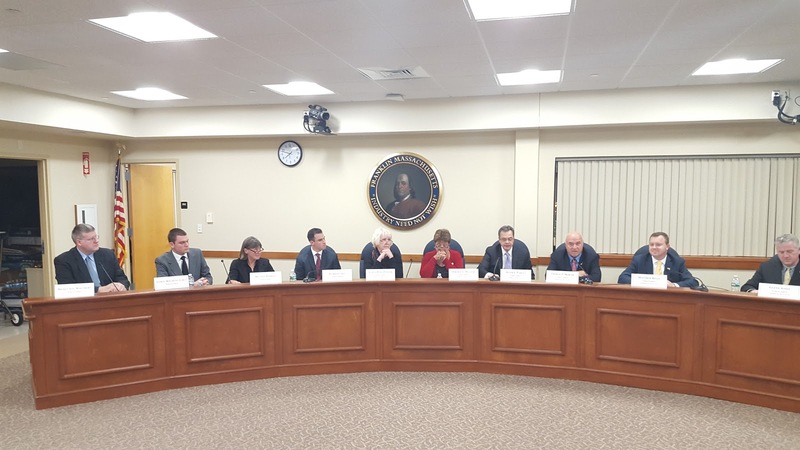 Only 7 of the 8 School Committee candidates appeared. Diane Feeley was unable to. All 12 candidates fir the Town Council appeared. The two Board of Health candidate actually kicked off the evening. Bridget Sweet appeared to present her statement. Bruce Hunchard was unable to attend and his statement was read for him. There were no questions. All the other positions for the Nov 7 election are uncontested.